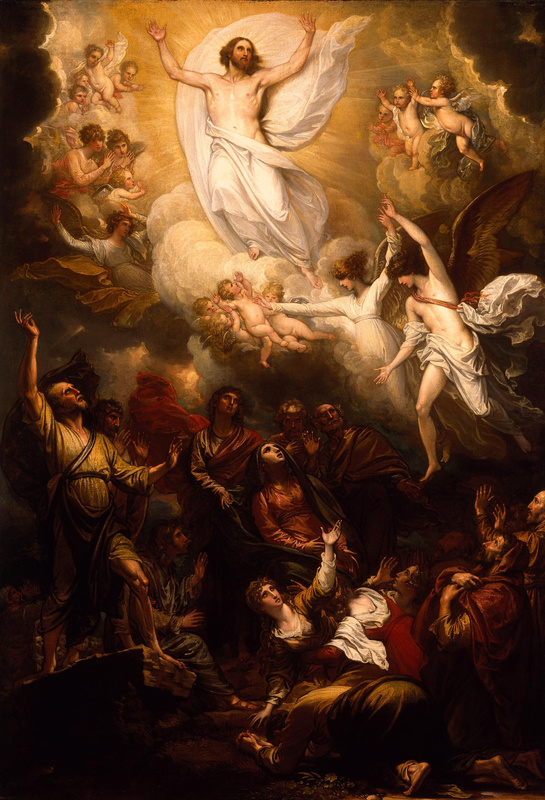 You may not be aware of this day of the church year, but today is the day that many observe Ascension Day, or the “Ascension of Our Lord.” This is the day that the church remembers when Jesus ascended into heaven. At the heart of the worship and message of Ascension are two passages, Acts 1:1-11, and Luke 24:44-53. On this day the followers of Jesus were encouraged and told that the Spirit would empower them to be witnesses spread throughout the world. “The disciples were told to not gaze up into heaven to look for Jesus” and like them “we find his presence among us as we proclaim the word and share the Easter feast. We too long for the Spirit to enliven our faith and invigorate our mission” (Sundays and Seasons, 183). This raises a number of questions, not the least of which is the question from Acts, where Jesus’ followers are asked, “why do you stand looking up toward heaven?” In thinking about this question, Martin Marty offered a great post pondering this very question, which I encourage you highly to read. For me, today serves as a reminder. First, its a reminder that we still have another week of the Easter season. But it also reminds that Pentecost is soon to be upon us, as we remember the Holy Spirit descending upon Jesus’ followers, just as he told would happen. In a current world and context sense though, Ascension also can be a day of joy, reminder, and refocusing. Some times we need to remember the callings and mission to which we are a part of. That is, spreading the Good News of God, and also the message that all are beautiful and loved Children of God, created by God. Some times its okay to pause and “look up.” But if that’s all we do, we lose sight to how that connects to that which we are called and sent. We lose focus to that which we are equipped and led by the Holy Spirit, which we recall at Pentecost. Today, we “look up” momentarily, give thanks to God and remember and experience joy. We continue to tell the Good News of Easter, and we are able to re-center ourselves and renew ourselves as part of the work and ministry of God in our own called ways and contexts. In what ways do you celebrate and observe Ascension (if you observe it)? What questions does it pose or create for you? Sundays and Seasons, (Minneapolis, MN: Augsburg Fortress, 2012), 183. Next postCongratulations, Hallelujah, and Thanks be to God!